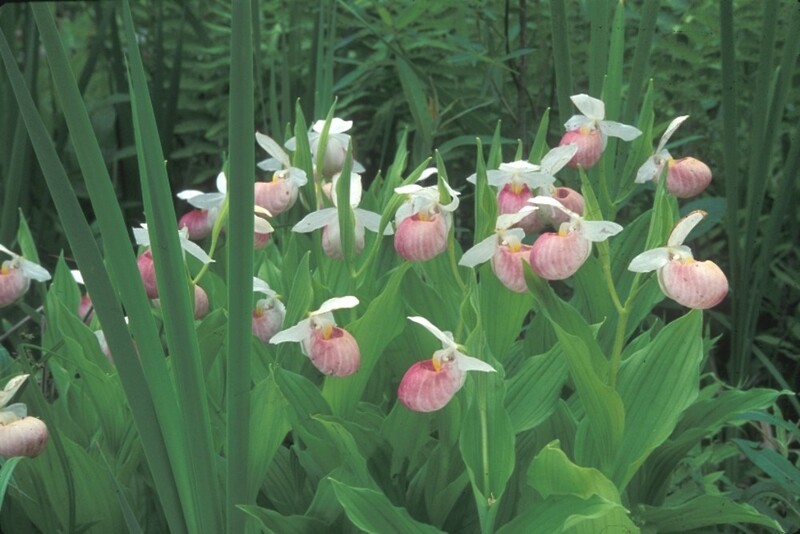 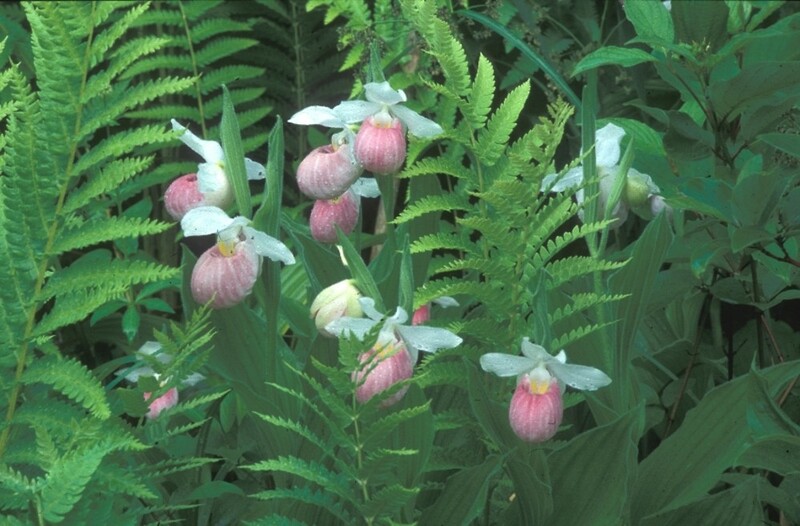 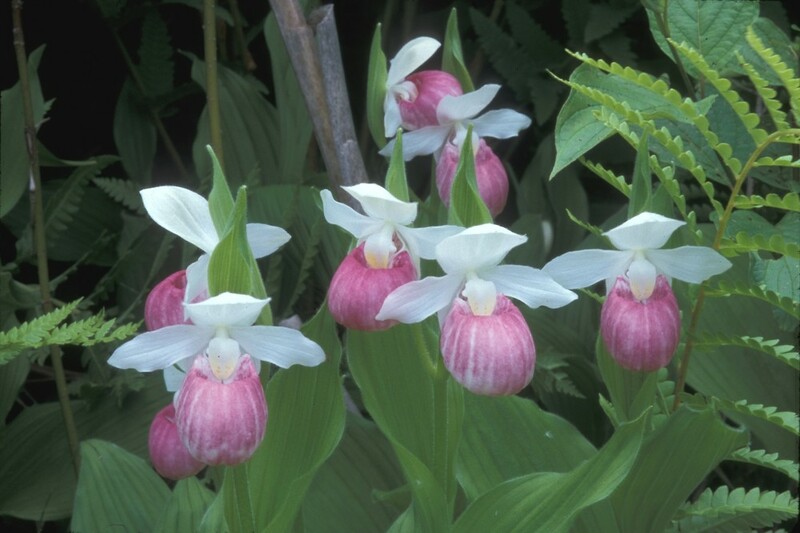 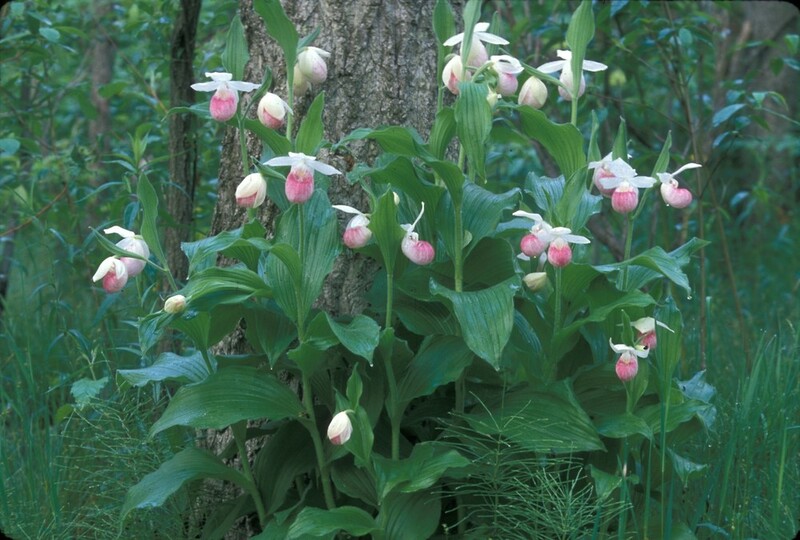 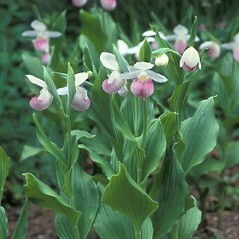 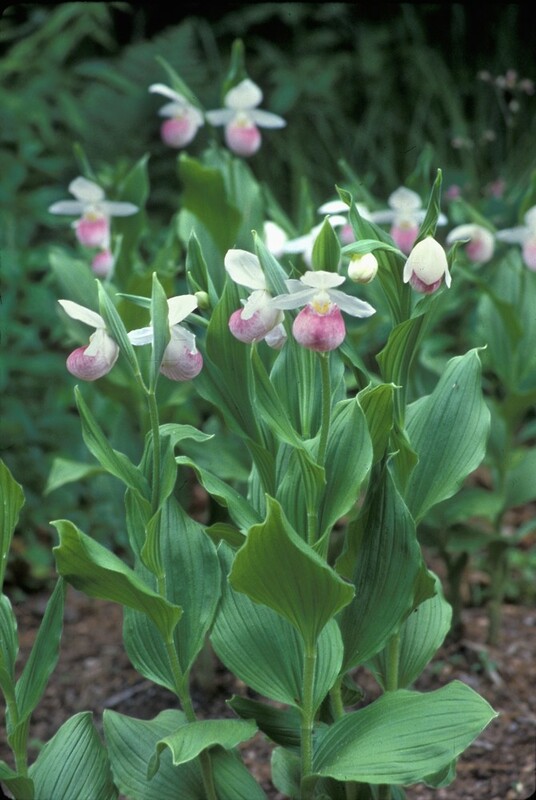 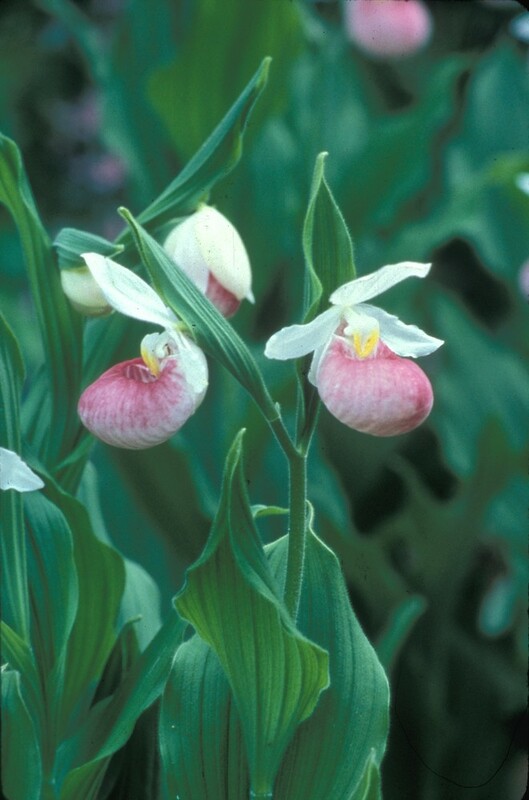 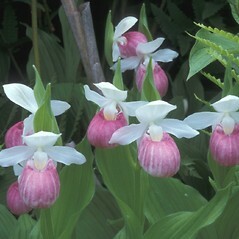 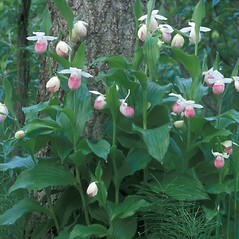 Showy lady's-slipper is rare in four of the five New England states in which it occurs. 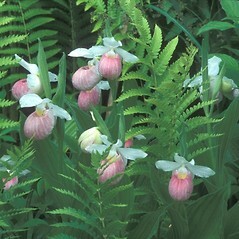 It grows in fens and swamps dominated by northern white-cedar (Thuja occidentalis). 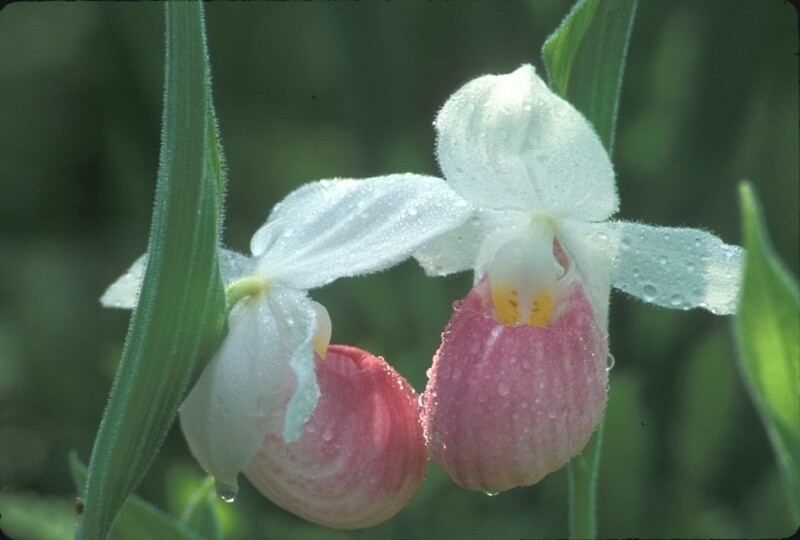 There have been reports that a small European skipper (a non-native butterfly) becomes trapped in the labellum of this orchid, thus blocking it and preventing pollination by native bees. 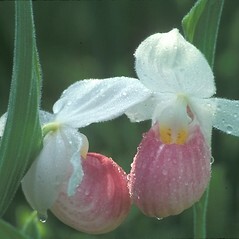 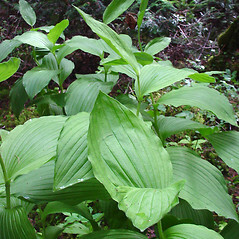 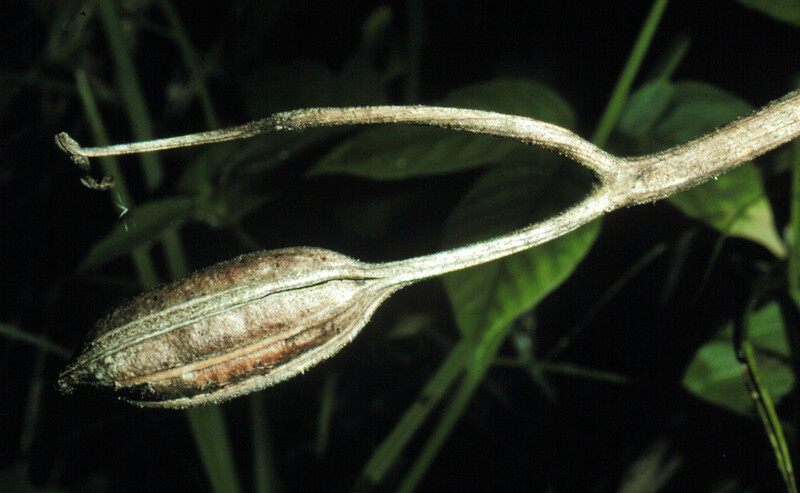 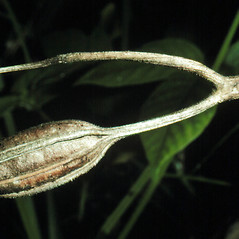 It is speculated that this may cause decline of the orchid by decreasing reproduction; however, this has not been confirmed. 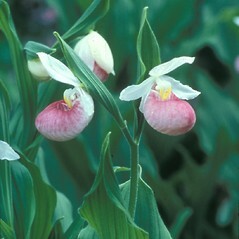 showy lady’s-slipper. 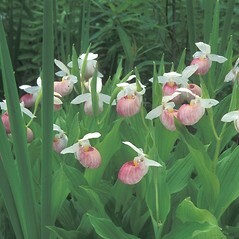 Cypripedium spectabile Salisb. 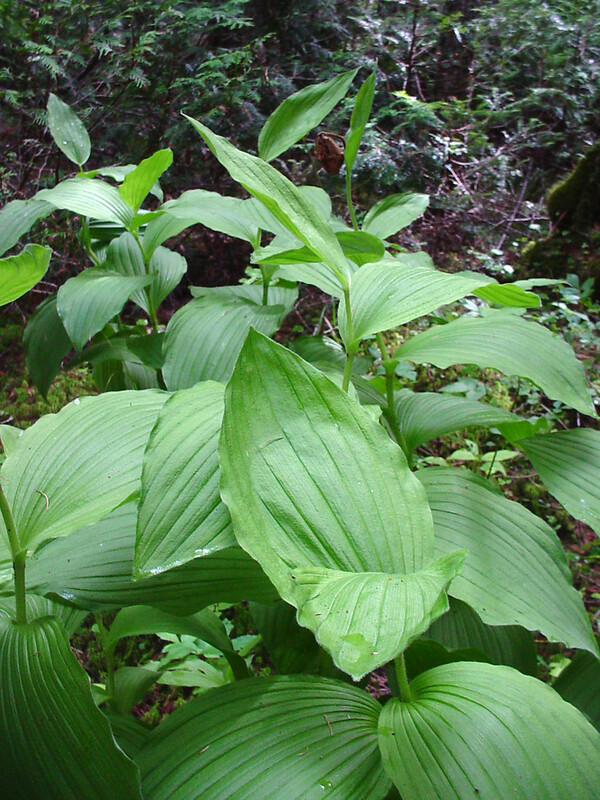 • CT, MA, ME, NH, VT. Fens, swamps dominated by Thuja occidentalis.